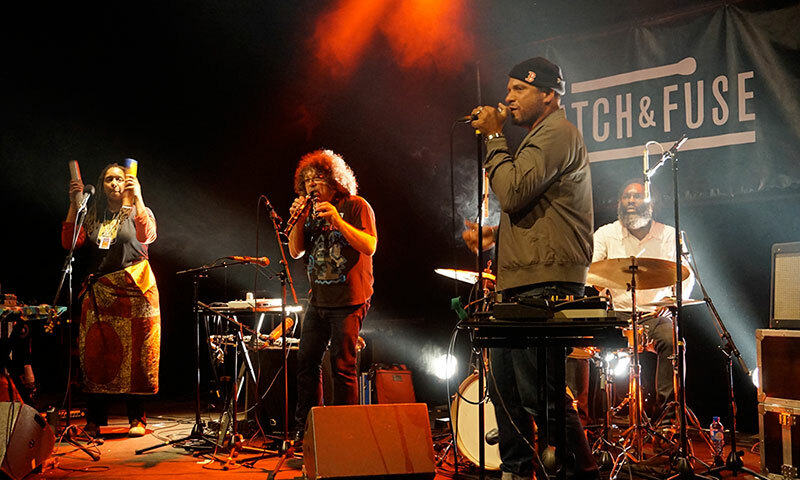 This Toulouse-based edition of the Match&Fuse festival was a premiere in France and took place at Mix’Art Myrys – chosen for its atmospherical, industrial architecture and emphasis on interdisciplinary culture. 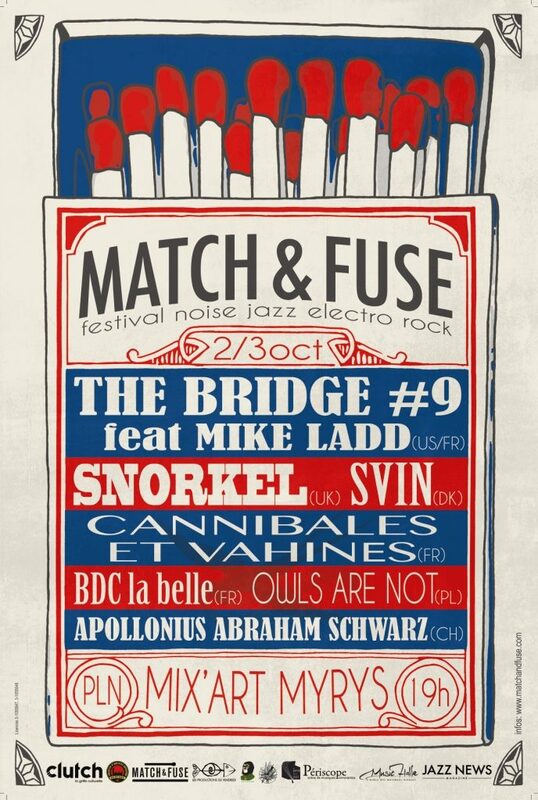 Match&Fuse Toulouse 2015 was a taster for the full 3-day festival taking place in 2016. Bands from across Europe turned this southern French town into the capital of adventurous music and collaboration. stormy, dream-like or unbridled atmospheres. After touring all over Europe with its politically-aware rock, the Toulouse-based trio escorted by G.W. Sok (The Ex’s former singer) return home for their release party. This 9th encounter between the Chicago jazz scene and French musicians will gather, for the first time, Mankwe Ndosi, Mike Ladd, Sylvain Kassap and Dana Hall for a unique show. BDC La Belle do rock. They fire on all cylinders but never at the expense of music. This is a band that will listen to everything, even crap…for metaphysical reasons. It’s a hyper-saturated world but also completely empty. BDC La Belle found each other in the dark. At first there were five, then there were six and now they’re having a laugh. Owls Are Not is an adventurous band from the Warsaw underground scene that blends acoustic and electronic sounds, dance and music for a once-in-a-lifetime performance. DJ Piotr Cichocki (PL): ambient, central European jazz /psychedelic / prog DJ set. Between brass that evoke the trumpets of Jericho and an Ethiopian music-like mesmerizing force, nothing can provide such a live experience to dive into, as the energy of Svin. Spearheading Slowfoot Records, this London collective creates a sonic atmosphere that progressively evolves into an addictive electric trance. Svin (DK) and Snorkel (UK) also played as a double bill at Le Périscope in Lyon on October 2nd.